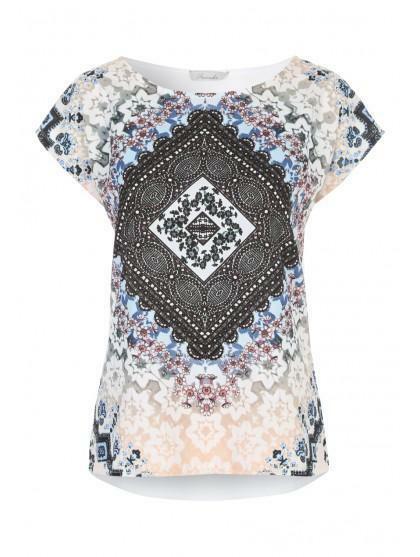 Update your everyday essential collection with this gorgeous white woven t-shirt, featuring a looser fit, short sleeves and rounded neck, and a gorgeous versatile eclectic print for additional colour, it's ideal for dressing up or down. Accessorise with one of our glamourous pendant necklaces. As above . 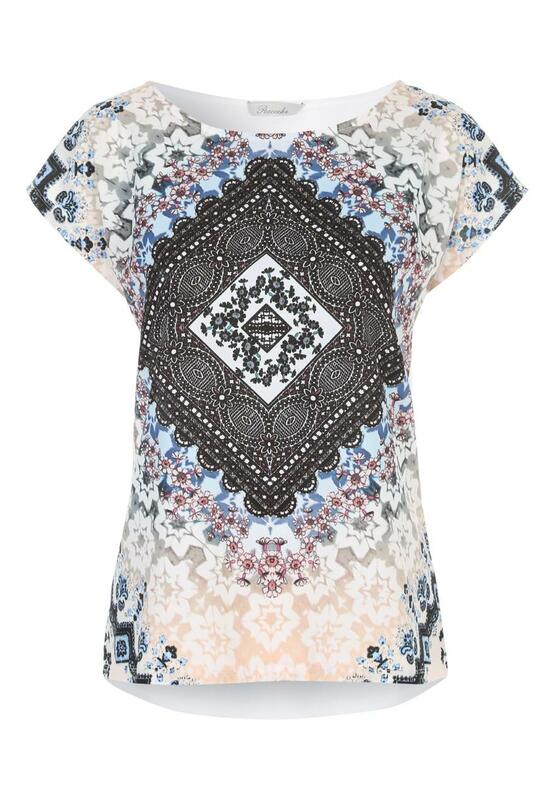 This top is loose and comfortable to wear and I love the colour & design.